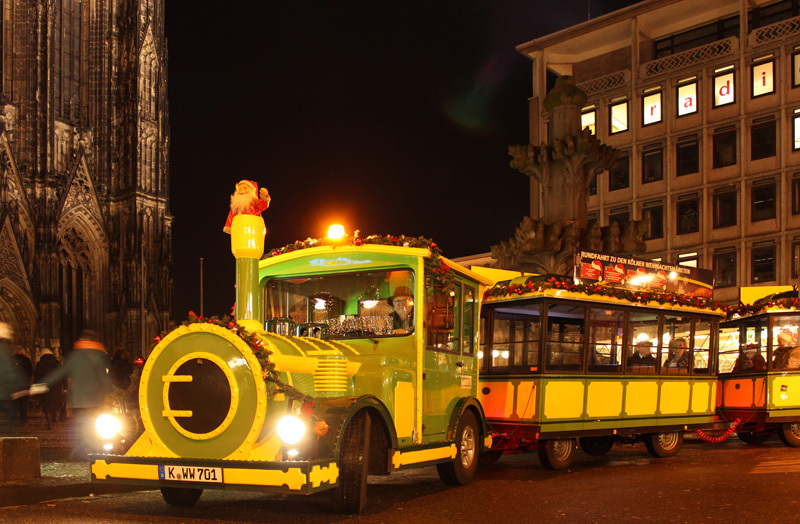 The Christmas-Market-Express is ideal for all of those who would like to visit more than just one of the beautiful Christmas Markets of Cologne even in wind and weather! 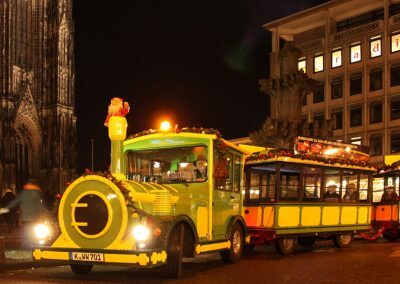 We drive through the streets of the old city of Cologne which are decorated for Chirstmas and go directly to the central stops which are located nearby four of the most beautiful Christmas Markets! 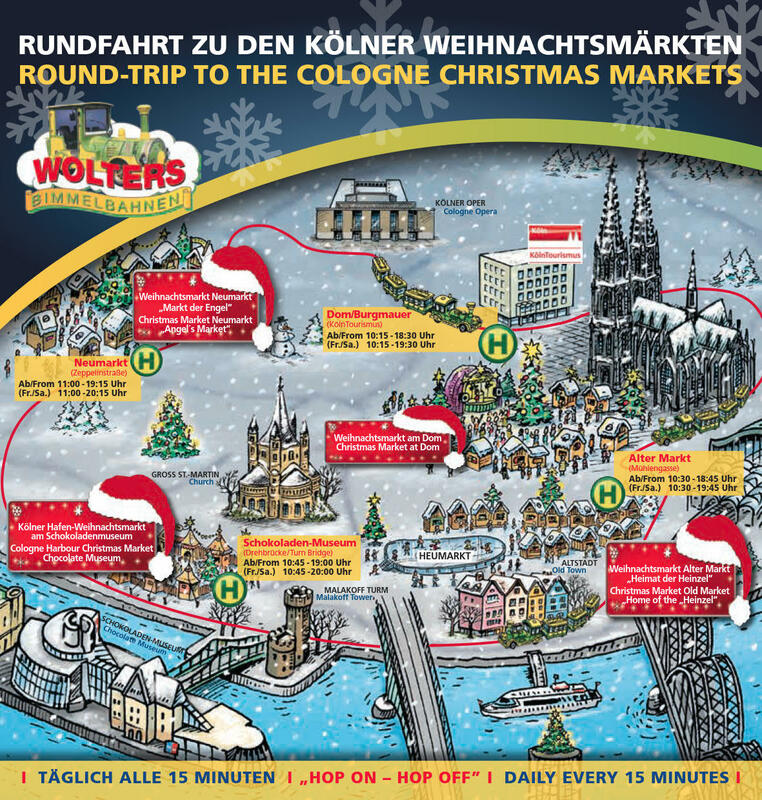 The outward bound journey takes you through a Cologne that is decorated for Christmas and from one Christmas Market to the next (single trip). 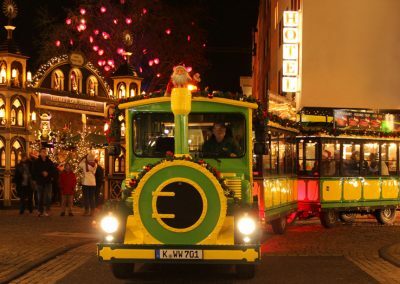 If you have a round-trip-ticket you can disembark at each of the four stops and enjoy the offers on and atmosphere of the various Christmas Markets and then continue with your trip (if you have a single trip you take care of the return trip/make your own way back). every 15 min. from 10:15 a.m.
Fri. and Sat. 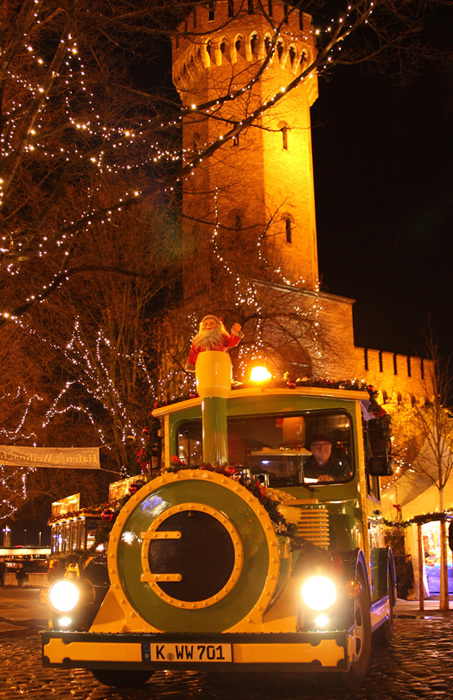 7:30 p.m.
Children until 12 years of age (incl. 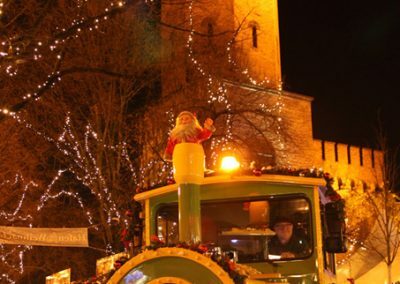 stroller) + Children until 2 years of age (excl. stroller) are free. Bei Vorlage des Behinderten-Ausweises mit dem Vermerk “B” wird die Begleitperson kostenlos befördert. Modelle, die NICHT klappbar sind, bitte mit vorheriger tel. Rücksprache. 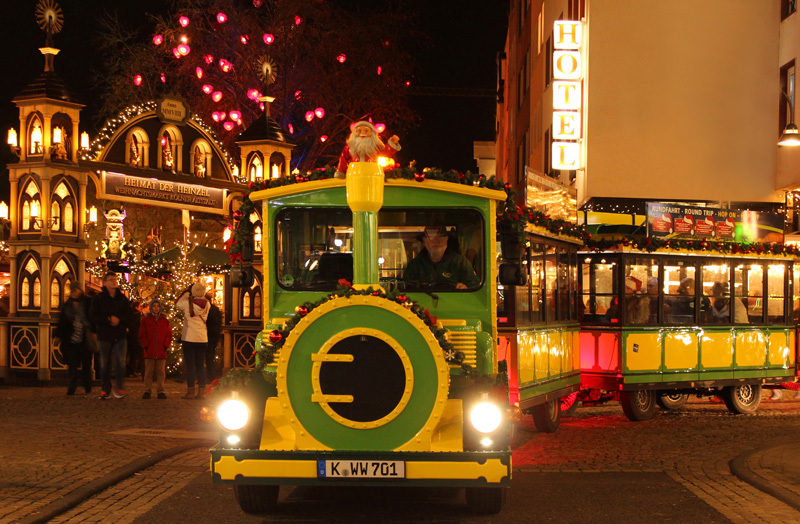 It is only possible to make a reservation of seats from the Mini-Train-Stop Dom-Burgmauer onwards for the Christmas-Market-Express.